Nearly a decade ago, I began writing OddD. Thirty edits and re-writes later, it is finally being vetted for the last time by my wonderful editor, Loma Huh. Barring an Apocalyptic event, OddD will be launched in the fall of 2014. In the meanwhile, the OddD website will be up and running by the weekend. I hope you will follow along as I share my journey with you. Three years ago, my sister, Umi, and I made a promise that we’d do something fun together when we both turned 50. We didn’t need reminding that we were going to reach this milestone pretty soon – my three kids constantly remind us that we are practically fossils. But we figured it would be the best way to celebrate the fact that two people can live as long as we have without having a single spat! It’s true. Growing up, we were BFFs. She had my back and I had hers. Ours is a special relationship, untouched by harsh words, jealousy, or sibling rivalry. When we made this pledge, I had four manuscripts in various stages of completion. But we settled on OddD because it had the best potential for an illustrated novel for children ages 10 and up. Umi, who is a veteran IB art teacher at Atlanta International School, had some knockout ideas to portray not just scenes from the book, but also the humor in them. 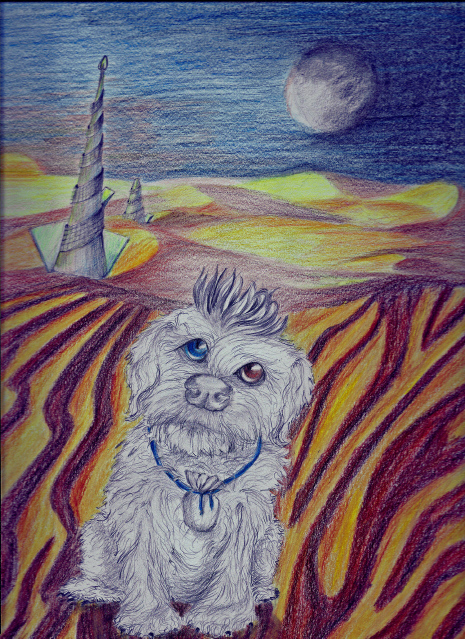 Besides, we both loved the book’s main character, OddD, an alien that takes the form of a peculiar looking dog with a Mohawk and mismatching eyes. Umi and I have owned a lot of dogs over the years and in OddD we saw bits of all those animals we loved so dearly. OddD is a shout out to Bobo, Honey, Keds, Gayson, Doodoo-ma, Scampy, Rai, Sparky, Leila, Spinner, Emma, and Zephyr. Quite truthfully, if I were a dog, I’d want to be just like OddD—Mohawk and all! And if I were an alien, I’d definitely want to be Damon! I loved reading about your relationship with your sister! 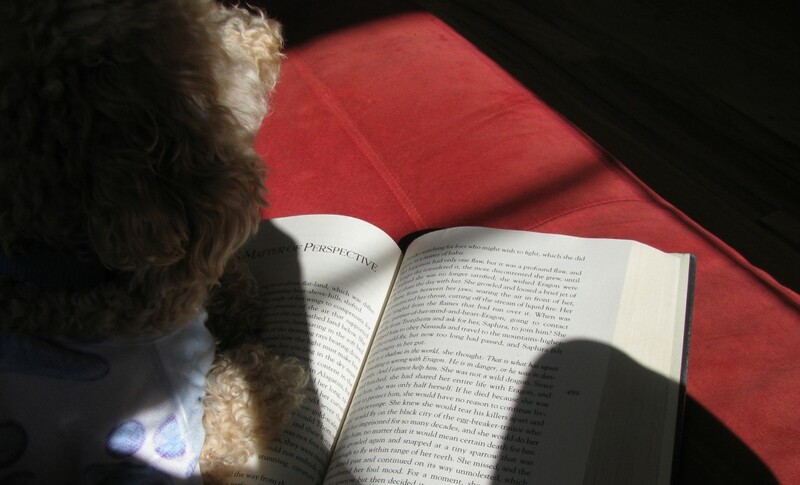 The inception of your story in dog-love moves my Holly-addled heart! More power to you and your sister!